“Coopertition” – a combination of cooperation and competition – is how the worldwide FIRST LEGO League program most succinctly describes what its mission is all about. FIRST (For Inspiration and Recognition of Science and Technology), founded by renowned inventor Dean Kamen to spark youngsters’ interest in innovation, has been operating in Arizona for the past decade. FIRST’s most prominent endeavor puts the budding engineering and science skills of teams of middle-school-age students to the test in problem-solving competitions using LEGO MINDSTORMS robotics kits. Top-performing teams at regional tournaments get to go to state championship tournaments. But they must do more than demonstrate proficiency at applying basic technical know-how. 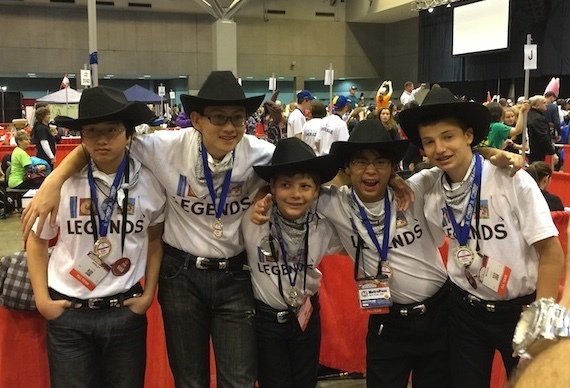 They’re also judged on how well they exemplify FIRST LEGO League’s “core values” of teamwork, respect for fellow competitors, a spirit of friendship and sharing, and an emphasis on the joy of learning and discovery rather than on collecting winners’ trophies. Those themes have been a particularly strong focus of Arizona FIRST LEGO League under its management by Arizona State University’s Ira A. Fulton Schools of Engineering. Since it took the lead in 2008 – with “coopertition” as the guiding principle – participation has jumped from 88 to about 300 teams of up to 10 students each. The efforts of more than 800 volunteers now go into teaching, coaching and mentoring students, and organizing and operating competitions. There are statewide planning and advisory committees of dozens of community leaders from diverse backgrounds and professions. There’s also growing support from industry – including time volunteered by employees of Intel, Raytheon, General Motors, TRAX, W. L Gore, Salt River Project, Boeing, Time Warner Cable, the U.S. Navy and IBM. Some 200 volunteers will help manage the day-long state championship tournament at ASU’s Memorial Union hall Dec. 8. A record 56 teams (including almost 500 students) will compete. The Arizona FIRST LEGO League community also includes “alumni” of past competitions. Some of these former team members who are now in college are among volunteers who mentor today’s young students or help staff tournaments. The team projects and tournaments “cemented my decision to be an engineer and my feeling that it is the field I want to be in, and helped me learn what it takes to get there,” Wittman says. Today he likes seeing the younger students compete. “It’s amazing to see the excitement in their eyes when they complete a project mission or find a way to get a robot to complete a task correctly,” he says. James Fiacco, an ASU computer science major, was on FIRST LEGO League teams from fourth through eighth grades. The tournaments “are like sporting events, very high-energy and with a lot of team spirit,” he says. “It worked out really well because the older kids liked leading and helping us, and the younger kids had all kinds of wild ideas to try out. “The robot we made was too large to go down a ramp, which was one of the project challenges, so we all got together and brainstormed some solutions. “We ended up reinforcing the robot so that it could jump off of the platform without breaking, instead of trying to find a way it could go down the ramp. She went on to get involved in computer programming and electronics and become a computer systems engineering major at ASU, where she is president of the robotics club. Now Grant is among the most active FIRST LEGO League tournament volunteers. She also helps engineering faculty members run summer robotics camps for young students and mentors local high school and community robotics teams. The outreach provided by the FIRST LEGO League program can be a godsend to school districts in outlying communities where there are limited resources for exposing students to higher education and career opportunities in engineering, science and technology, says Peggy Elrod, principal of Winslow Magnet School in northeastern Arizona. Elrod was director of the Winslow-area regional tournament this year. Twelve local teams competed, including five from the Winslow Magnet School. In only the second year of participation in the program, the school is seeing promising results. The core values component of teamwork and cooperative competitiveness “have had a positive impact on the climate of our school. It’s becoming a school-wide expectation for how we treat each other,” Elrod says. The projects are drawing out students’ individual abilities, and improving their communication skills as they learn to present information under the pressure of competition, she explains. 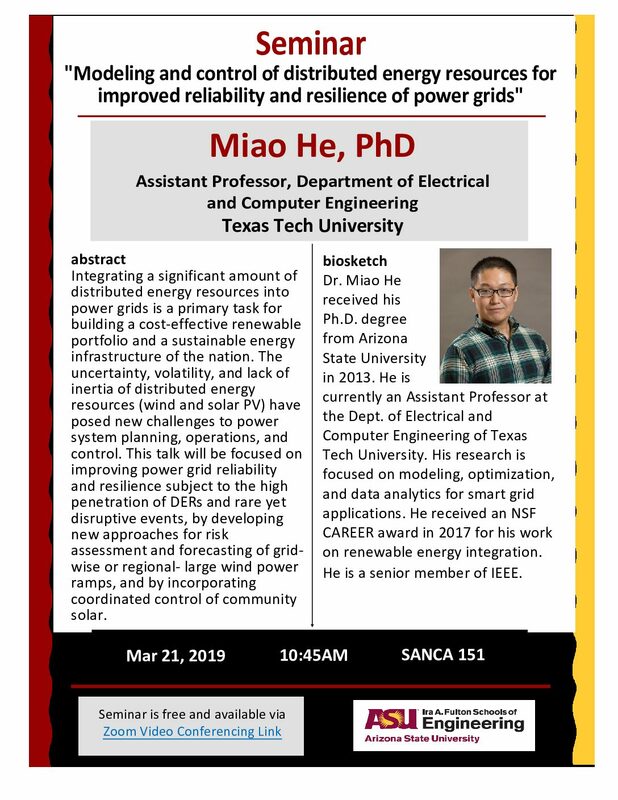 Each year students’ projects are guided by a different theme based on real-world societal challenges in areas such as medicine and human health, environmental sustainability, energy, transportation and emerging technologies. This year it’s the Senior Solutions Challenge. Teams must devise engineering- and science-based solutions to quality-of-life issues faced by senior citizens. It brings an added element to the research that teams must do: They’ve had to find a senior mentor – someone 60 or older who students can consult with to define their project goals. 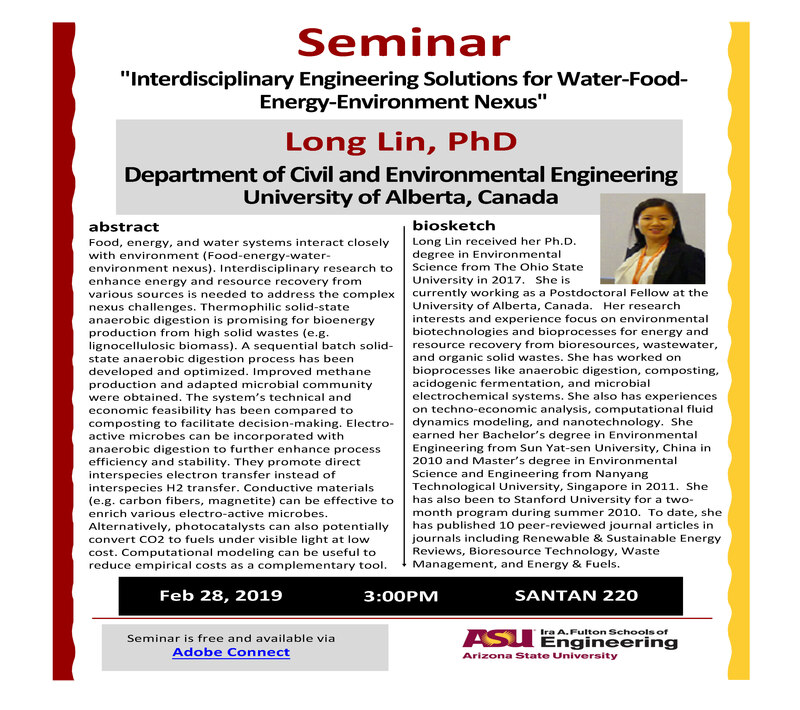 “This is in some ways a bigger assignment than those required by the themes of past competitions,” explains ASU engineering outreach coordinator Smith. “The kids have had to put down their cell phones and iPads, and instead of using Wikipedia and Google to gather research data, they’ve had sit-down conversations with seniors,” Smith says. Smith says the solutions some teams are developing raise hopes that a winner of the Arizona state tournament this year will an earn an invitation to one of the FIRST LEGO League invitational tournaments in the spring in Carlsbad, Calif., Sydney, Australia and Paderborn, Germany. State champion teams have boosted the reputation of the Arizona program in recent years. Team TOXIC from the Sonoran Science Academy in Tucson took a first-place award in the research category at the FIRST World Festival this past April. In 2009 the Helping Hands team from Peoria won the World Festival’s second-place Champion’s Award and a third-place Robot Performance Award. Taking the leadership role in the Arizona FIRST LEGO League program “was an easy decision for us to make,” says professor James Collofello, associate dean of Academic and Student Affairs for the Ira A. Fulton Schools of Engineering. It was an opportunity that coincided with the schools’ renewed commitment to strengthen the impact of its K-12 outreach efforts, he says. 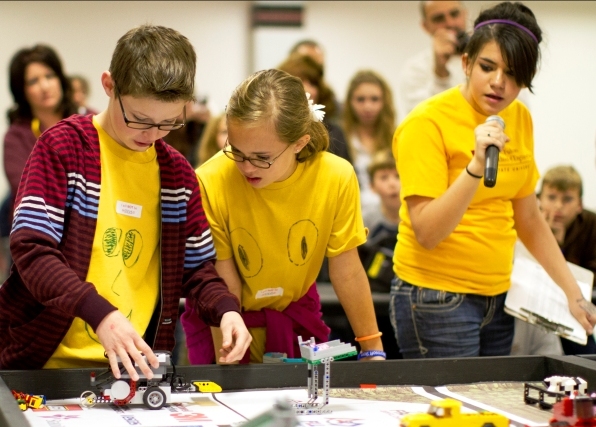 The Arizona FIRST LEGO League program has since become a signature K-12 outreach endeavor for ASU. “It’s fulfilling our expectations. It’s engaging students and exciting them that they can help address some of the world’s most pressing needs through their engineering and science skills,” Collofello says. 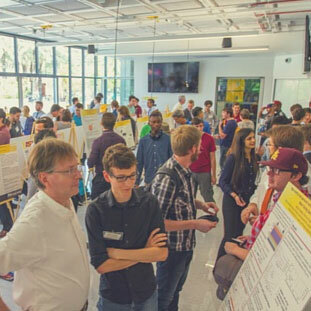 “It has been a great vehicle for forging connections between teachers, parents, students, industry and community leaders who are critical to building the education pipeline from the state’s K-12 schools to the universities.” says engineering schools’ dean Paul Johnson. “We love hosting the state tournament. Each year it seems to step up to a new level,” Johnson adds. He attributes the continuing improvement to more schools participating, the growing visibility of the program, the logistical skills of the event’s organizers and volunteer staff, and the broadening of the program’s support network throughout the state. But mostly, he says, it’s because of the spirited students, teachers and coaches, along with the parents and friends cheering on the teams on tournament day.